– Ensure mixing of your staff team and give colleague the opportunity to work together in a different context to usual. – The power of outdoor learning applies to adults as well as young people! – With a variety of meeting spaces onsite you may choose to have some time all together as a staff or in sub-groups in a different environment to usual. If you are looking to book a team development event please get in touch to discuss the various options available. 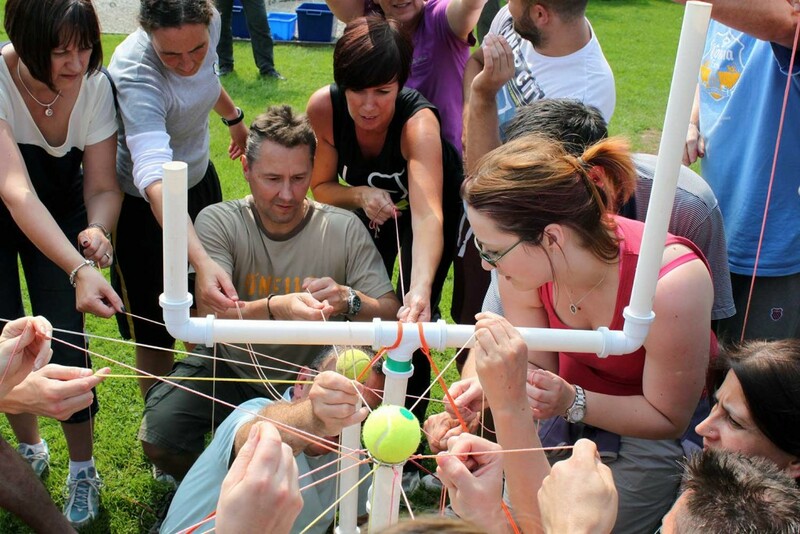 Team development is also a theme in our other training courses – for example enabling a first aid training for your whole staff at the same time or through the OEAP Outdoor Learning Card course activities. We run a range of courses which can support the development of school staff in specific areas as outlined below. There are 50 cards in total which come with a handbook and CD of further resources and feedback from schools is that they are great for encouraging and improving the provision of high quality outdoor activities in schools. Amongst the resources on the CD are details of curriculum links at different key stages – of which there are lots! In order to have a use the cards you need to attend a training course as detailed below. Training courses can be joined by small numbers of staff from a school/organisation or we can run a course just for your staff either at Thornbridge Outdoors, your school/base or at a venue of your choice. Targeted first aid training courses for 4-36 people to meet the needs of your school. Popular courses for large groups of staff are 4 or 6 hours long and can be delivered in school, here or at another venue of your choice. Specific Outdoor First Aid and Paediatric First Aid courses can be arranged for groups of your staff. Regular Outdoor First Aid courses are run here, which individual staff members can sign up for. All courses run us are approved by ITC First, an Ofqual approved training organisation, ensuring high standards. Training is by experienced outdoor instructors, many with teaching backgrounds, and is deliberately very hands on. 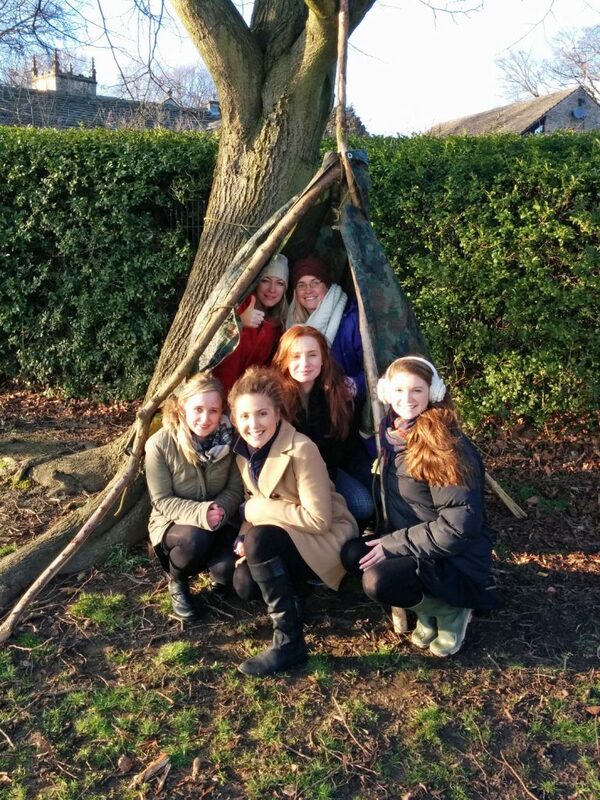 Thornbridge Outdoors believes that outdoor education meets more of its outcomes if school staff are involved in the planning and delivery of activities, something that has been supported by research in the Learning Away project. If staff attend our Low Ropes Course or Biking Leader Induction course they can then to lead those activities whilst they are at the centre. The optional afternoon of the low ropes course focuses on other visiting staff led activities such as problem solving and orienteering. Please note that the low ropes and biking leader induction courses are not designed to assess visiting staff members’ skills and aptitude. It is the responsibility of the school / academy to ensure that appropriate insurance is in place to cover visiting staff led activities, that assigned staff are suitably experienced & skilled and that the activities are led properly. Visiting staff may also find the OEAP Outdoor Learning Card training useful as it includes orienteering, team building, bouldering and journeying – all activities that visiting staff can lead whilst here. – For those taking others bouldering and climbing on single pitch crags, such as the gritstone edges of the Peak District. We pride ourselves in delivering training tailored to your needs, please contact us to discuss your requirements and how we can help.